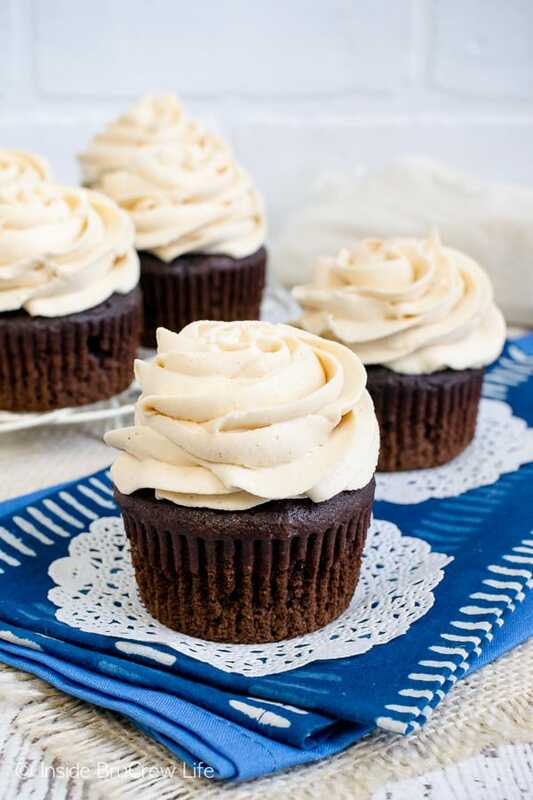 Swirls of the Best Honey Peanut Butter Frosting will make your cupcakes or cake disappear in a hurry. The sweet and creamy texture is hard to resist. 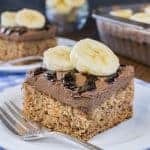 You will love it on top of this Peanut Butter Chocolate Chip Banana Cake. 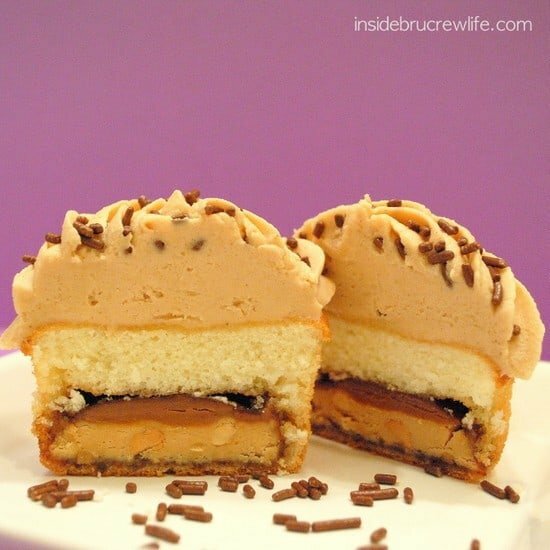 If you are looking for the absolute best peanut butter frosting in the world. Stop all the searches because I’ve got you covered. 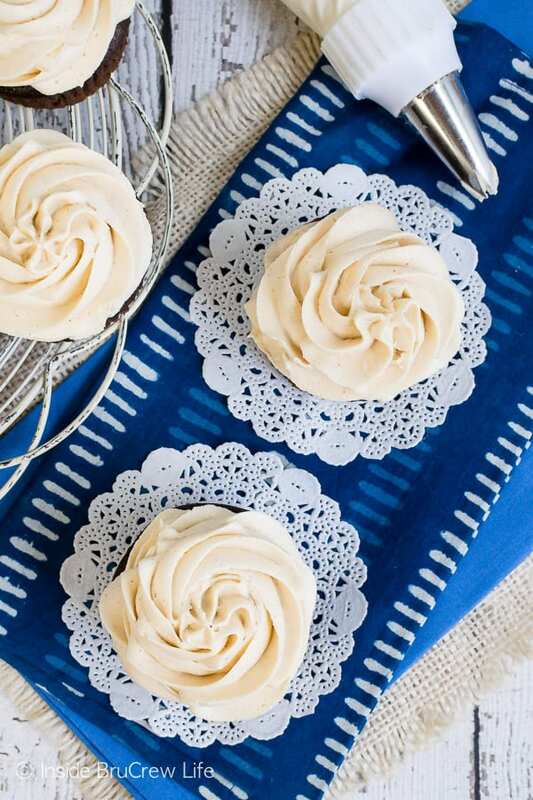 This homemade frosting is seriously my all time favorite. 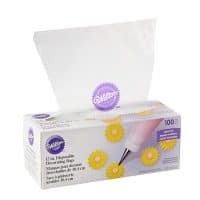 I use it to frost all the things. Ok, ok, maybe not all the things because it wouldn’t be good on eggs or zucchini. But you get the point, right? It’s the number one frosting that I like to make. Seriously! 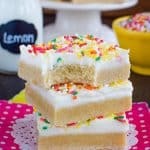 I’ve made this recipe countless times! You will never buy store bought frosting again once you taste this goodness. It’s so fluffy!!! You know the little girl in the Minion movies who says that about the stuffed unicorn? Yeah, that’s me about this frosting!!! Of course, anything peanut butter gets my vote. Peanut butter is probably one of the most used ingredients in my pantry. I’d say it’s neck and neck with bananas. I tend to use those two ingredients all the time. Hope you guys never tire of seeing recipes with them included. If you have been reading this blog for any length of time, you probably recognize this recipe. 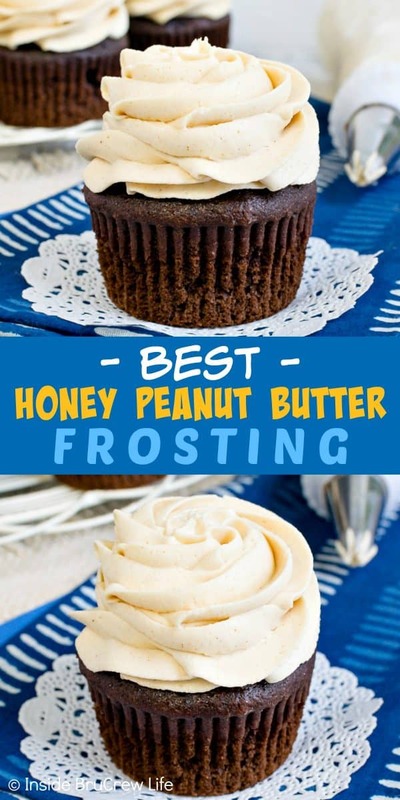 I have used the Best Honey Peanut Butter Frosting on countless recipes already. So why am I sharing it alone then? Well, sometimes I get requests for just a frosting recipe. 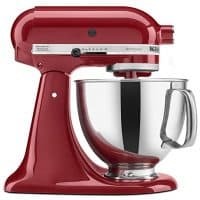 Sometimes readers already know what cake or cupcake they are going to make, and they are just looking for a good frosting recipe to add to their baked goods. 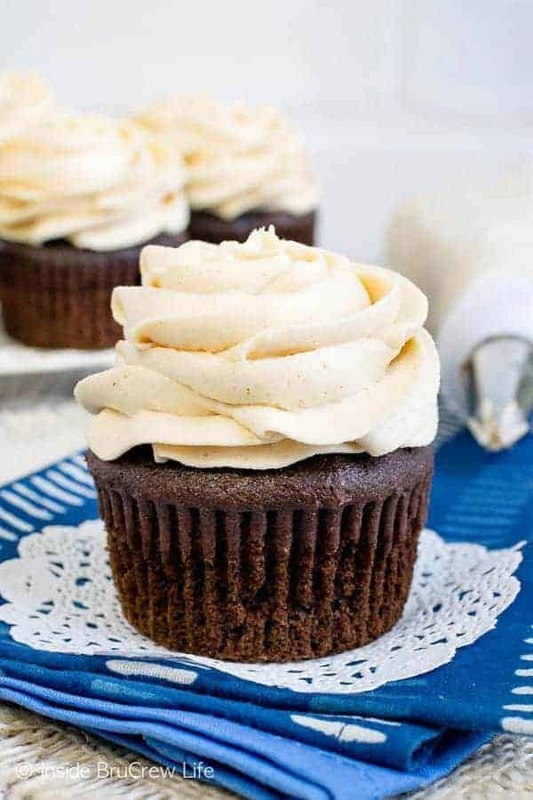 Up until recently, I always posted my frosting recipes with another item such as a cupcake or cake. I thought a two for one deal was a good thing. Well, after 10 years of blogging, I have finally learned to separate these recipes. 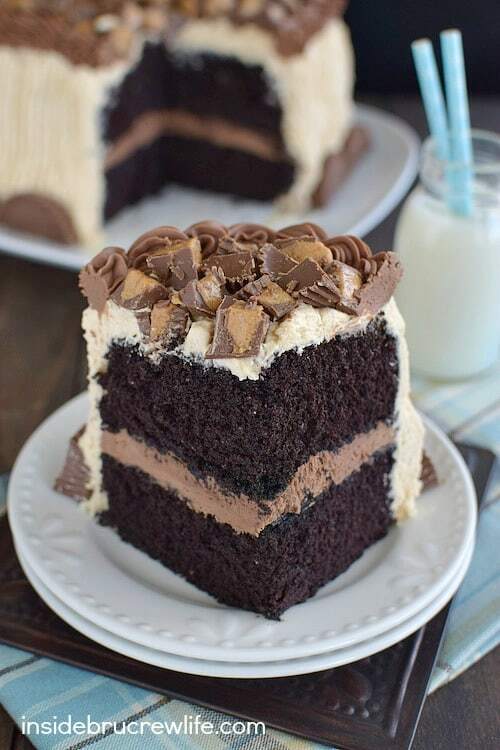 And a peanut butter frosting this good needs it’s own post anyway. I mean look at that creamy swirl of goodness. Kind of makes you want to lick your computer screen doesn’t it? Set out your butter ahead of time. 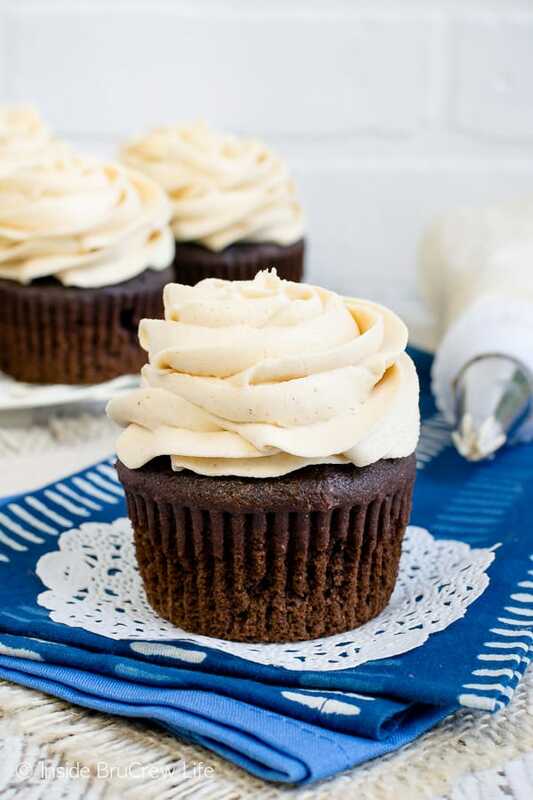 It’s much easier to create fluffy frosting with room temperature ingredients. I also use unsalted butter. This way I can control the amount of saltiness in my recipes. Beat the butter and peanut butter until it is light and fluffy. Pour in the honey, vanilla, and salt and beat the mixture again. Make sure to use a spatula to push the mixture down the sides of the bowl. Slowly add in the powdered sugar and heavy whipping cream until everything is combined. Then beat the frosting on high for one to two minutes until it is light and fluffy. Resist the urge to dig in with a spoon. Or don’t. I won’t judge because I’ve been there and done that. 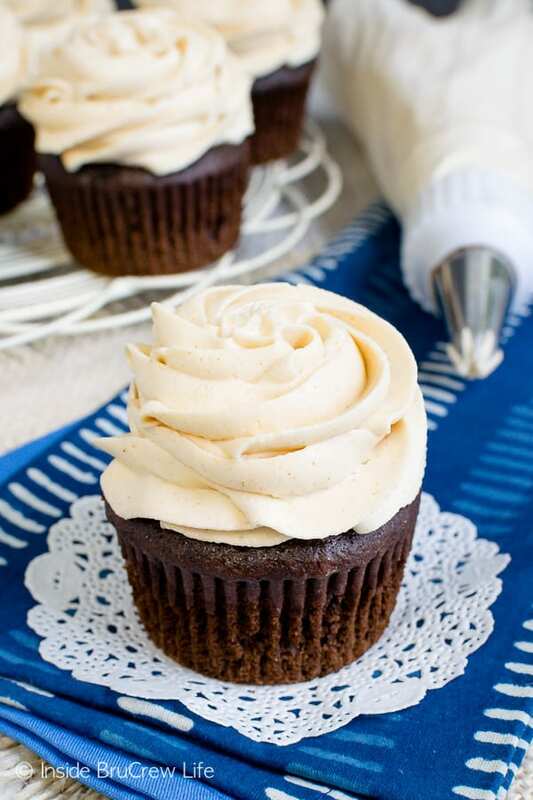 Use a piping bag with icing tip 1M to swirl the peanut butter frosting on top of cupcakes, cake, cookies, or brownies. You name it. 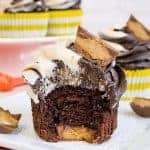 It will be amazing topped with the Best Honey Peanut Butter Frosting. 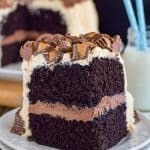 Peanut Butter Explosion Chocolate Cake – layers of chocolate cake made with peanut butter cups filled with peanut butter frosting and then coated in Dark Chocolate Buttercream Frosting is a must make for fancy parties or events. 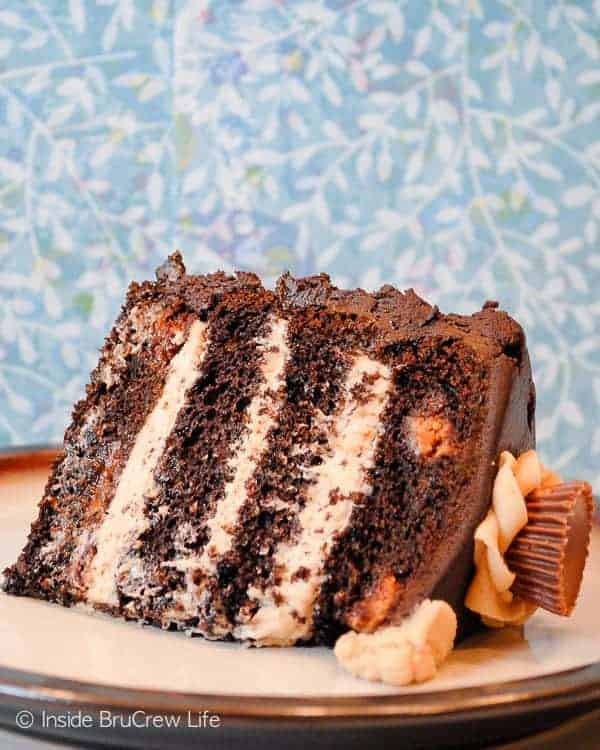 Best Chocolate Peanut Butter Cake – the best chocolate cake covered in peanut butter frosting and peanut butter cups. This is a no brainer. Just do it! These Peanut Butter Blowout Cookies from Tidymom are loaded with chocolate chips, peanut butter cups, and peanuts. The cookie jar needs a batch ASAP! This Peanut Butter Semifreddo from Fifteen Spatulas looks so creamy and delicious. Plus, you don’t need an ice cream maker to make it. Get out the cookies and dive into this Peanut Butter Cheese Ball Dip from Crazy for Crust. Or use a spoon. Either way works for me! Beat the butter and peanut butter until nice and creamy. Add the honey, vanilla, and salt and beat again. 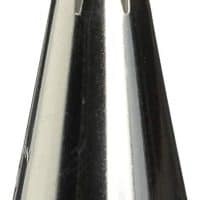 Use a spatula to clean the sides of the bowl and push the mixture down into the center of the bowl. Slowly add the powdered sugar and heavy whipping cream until it is all mixed in. Beat on medium to high speed for 1-2 minutes to create a light and fluffy texture. 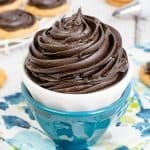 Use a piping bag and icing tip 1M to swirl the frosting on cupcakes. Or use a spatula to spread it on cake layers. 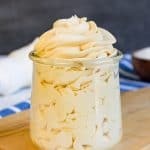 I grew up eating peanut butter and honey sandwiches so this frosting sounds delicious! This frosting looks so thick and fluffy!! I love it! …. never though of it …. so creative and healthy …. Thank you so much !